BOTH THE Trinamool Congress and the BJP had claimed moral victory after the Supreme Court directed that Kolkata Police Commissioner Rajeev Kumar can be questioned (but not arrested) by the CBI in the Saradha chit fund case. 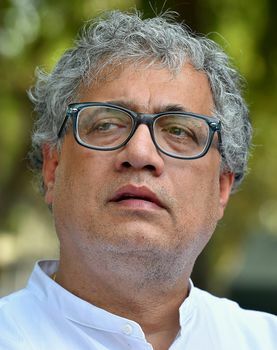 Trinamool’s Rajya Sabha MP and spokesperson Derek O’Brien says the West Bengal Chief Minister Mamata Banerjee’s dharna against the CBI operation was a message to the jumla jodi [fraud pair] of Prime Minister Narendra Modi and BJP president Amit Shah. “Our fight is not against the CBI. Our fight is against the BJP ruining institutions like the CBI, RBI and Information Commission,” O’Brien says. How is the Supreme Court order a victory for you? My understanding is that our lawyers made an offer and that offer in effect became the court order. We were always ready for the police commissioner to be questioned, but we wanted a neutral venue—which we have got in Shillong—and we asked for no arrest. The court has upheld that as well. In page 11 of their [CBI’s] affidavit, they claimed that democracy and law and order have broken down in West Bengal. The Supreme Court has clearly rejected that claim. And, since the police commissioner has already written a letter saying he is ready to cooperate with the probe, what is the problem? This is a moral victory for us. But, the bigger issue is that of political vendetta. The day Mayawati and Akhilesh Yadav announced an alliance, the CBI was let loose on them. The day TDP walks out of the NDA, the CBI is used to harass N. Chandrababu Naidu. Arvind Kejriwal has been continuously harassed by the CBI. Lalu Prasad has been harassed, the Congress is being harassed. Congratulations BJP, you have lost all your allies. But now, Modi and Shah have found a new ally—the CBI. Trinamool Congress chief national spokesperson Derek O’Brien is an author, TV personality and quiz show host. He is currently the parliamentary party leader of the TMC in the Rajya Sabha. He joined the TMC in 2004. He handled the party’s social media wing during the 2009 Lok Sabha elections. He was first sent to the Rajya Sabha in 2011. His current term is slated to end in 2023. None of this helps you escape the shadow of the Saradha chit fund scam and allegations of corruption. In fact, the police commissioner has been called a “potential accused” by the CBI. What is this term ‘potential accused’? You are either an accused or you are not. Have they filed an FIR in all these years against Rajeev Kumar? For God’s sake, he was the police officer heading the special investigation team in the chit fund case. There is no such term, as the one the CBI is now using, in the eyes of the law. They probably wanted to use him as a witness. If the CBI has become an instrument of politics for the BJP-led Centre, then has the police not been completely politicised in West Bengal? For senior police officers to join a dharna, how is that appropriate? This was not a political dharna. The dharna was, in fact, in support of IPS officers. And, it was Mamatadi’s message to the jumla jodi of Modi and Shah that they cannot destroy our institutions. The police officers were there for just under an hour. Do not forget that Mamata Banerjee is also the [state] home minister. They sat there for 45 minutes to discuss law and order with her. But, the police commissioner joined the dharna. There were no Trinamool flags or symbols [at the dharna venue]. What was wrong if he had sat with her for approximately an hour? So, you think it was appropriate? Absolutely. Law and order is a state subject. And, after such a big development, the police commissioner has to consult the home minister. Forty one CBI officers came to Kolkata. Do you need 41 officers to question one man? What were they really planning if not to arrest him? Or, had they come to organise the world’s largest quiz show? Why were the CBI officers detained by the Kolkata Police? Does that not violate constitutional niceties, as well? Please look at the footage. They had tea and biscuit. The footage is available to all. Once again, this is not the issue. Our fight is not against the CBI. Our fight is against the BJP ruining institutions like the CBI, RBI and Information Commission, and [doing] something as destructive as demonetisation. Our dharna is for this principle. By rallying opposition forces, is Mamata pitching for the national stage and becoming the leader of the opposition? Is this her pitch to be a prime ministerial candidate in the Lok Sabha elections? Mamatadi does not need to make a pitch to emerge as the leader of the opposition. She wanted to give a message to Modi and Shah that you cannot just send your proxies to walk into a state, and use excess power and bully us. All the 22 parties who united earlier on our platform on January 19 have supported her on this, either by public statements or by coming to West Bengal. I do not think this is a question of positioning. You talk of federalism and the rights of an elected chief minister. So, why is your government blocking another elected chief minister—Yogi Adityanath—from entering the state? This week he had to enter West Bengal by road from Jharkhand, because his chopper was not given landing rights. No. In fact we would like Yogi Adityanath to come more often to West Bengal. There were no question of blocking him. We have done some homework on his performance in the recent elections. For every 100 seats he campaigns in, the BJP loses a significant number. So, the more he comes to West Bengal, the more it will help us. And, let me tell you, his bile and divisive speeches will not go down well with Bengalis. Finally, we can offer our services to him and other BJP leaders flying in. They are communicating in a language which is alien to the people here. So, why do we not give them a Bengali translator who can translate all their divisive speeches? They cannot even speak the language and they are talking big of running our state.